BEAU L'AMOUR'S COMMENTS: Up until the early 2000s I was somewhat active in the Motion Picture and Television industry. Among other things, I struggled to make a number of projects of my father's but was only partly successful. Often disappointed in either the outcome (despite my best efforts) or the process, I ultimately decided to put a greater and greater amount of my time into publishing projects. Over the years, however, I found I had created a number of adaptations of my father's material that never even made it onto the desk of an agent or a studio executive. Around 2008 buddy of mine challenged me to write a script to Dad's novel Haunted Mesa, a book my friend considered nearly impossible to do a decent adaptation of. I agreed with him ... then I cheated and created a TV Series Bible and a Pilot Episode. The big challenge was to bring it up to date and to make the "other world" a bit more grounded in its own science fiction reality. Not having to resolve everything from the novel in a two hour movie really opened Haunted Mesa up and made it fall into a much clearer structure. Dad touched on so many interesting ideas in this story that he nearly drowned in them. 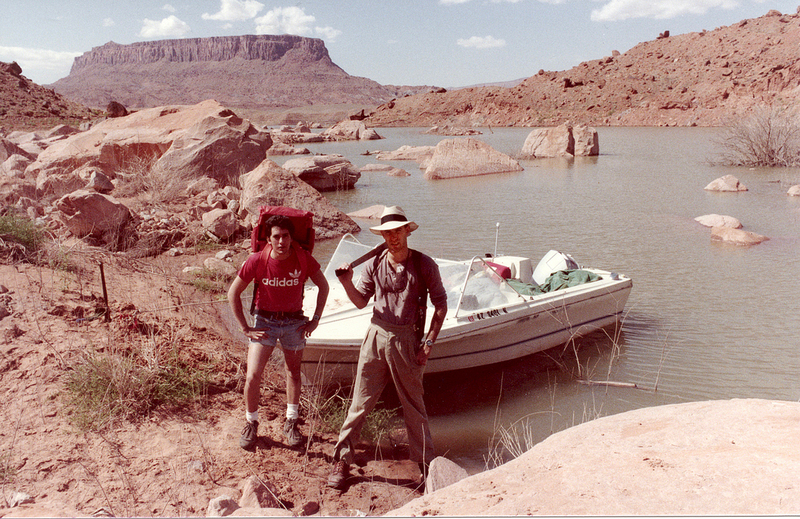 I was Dad's go-to Sci-Fi guy while he was struggling with haunted Mesa in the 1970s and '80s but I was too young and inexperienced to help as much as I would have liked. I did do a good deal of the "on the ground" research on the book with him and then, eventually, for him. It was a lot of fun and I got into some very strange places and made some good friends. One of the particularly intriguing aspects that I discovered I could add to the TV project was a connection to 19th century Western history. I added in the concept that the peoples of both the United States and Mexico had been fighting an inter dimensional war with Xibalba since the time of the Hopis and Mayans ... one of the "government secrets" this piece of SF plays around with is that there were no "Indian Wars" in the Southwest. 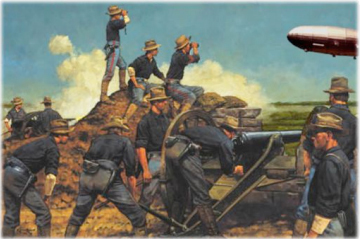 The Utes and Apaches and Navajos fought alongside soldiers of the US and Mexican armies in a secret conflict against the Empire of Xibalba ... a conflict that has been covered up ever since. What I have posted here is just the "concept" page of an extensive bible, a bible that contained the general arc of the plot, character descriptions, and treatments for episodes. I have limited what can be read because TV companies are often very sensitive to whether or not anyone has seen the material ... they all like to be the first ... and I do hope to sell it someday! While developing an advanced surveillance device, wealthy inventor Eric Hokart stumbles onto a way to detect areas of congruence, thin spots, that sometimes connect our world to another. This Alternate Earth is similar to ours geographically but, for the last several thousand years, it has experienced a vastly different history. Hoping to explore the far side of this strange new border, Eric reaches out to Mike Raglan. Once a Captain in the Special Forces, Mike led the team in Afghanistan assigned to test Eric's equipment in combat. But when Mike cannot be found, Eric's curiosity gets the better of him . . . and he steps through the portal into the unknown. 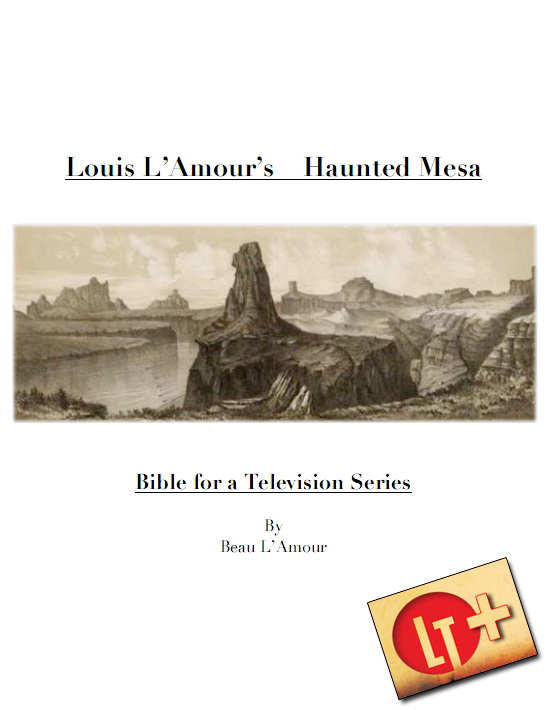 With "Haunted Mesa" Louis L'Amour created the basis for a unique "alternate world" Science Fiction series. The main setting is the modern American southwest, a land of red rock canyons, mesas, parched Indian reservations, and sun blasted one-street towns. In our world it is a haunted land where the ruins of ancient peoples hide in huge wind hollowed caves, and mysteries lie coiled in every shadow. In the Other World the remnants of an ice age still hold sway. There are no glaciers so far south, but the land is cold, dry, and distinctly inhospitable. The level of human population is considerably less and ancient mega fauna, like cave bears, giant sloths, and saber-tooth cats can still be found. There is only one civilization north of the equator, the seven cities of Xibalba, (She-bal-ba). A modern culture in its own way, it has a level of science, art, and architecture equivalent to, but very different from, our own. It is also a stifling theocracy where suspicion and darkness rule every relationship and human sacrifice is common. A relatively stable portal in Mexico has allowed communication between worlds to go on for a very long time. Conditions and culture in Xibalba have influenced the Olmec, Mayan and Aztec peoples on our side . . . and visa versa. Today, Xibalban agents use the portal to traffic the most exotic drugs on the market as they maneuver for wealth and power south of the U.S. border. Their ultimate goal, a political foothold in our world. 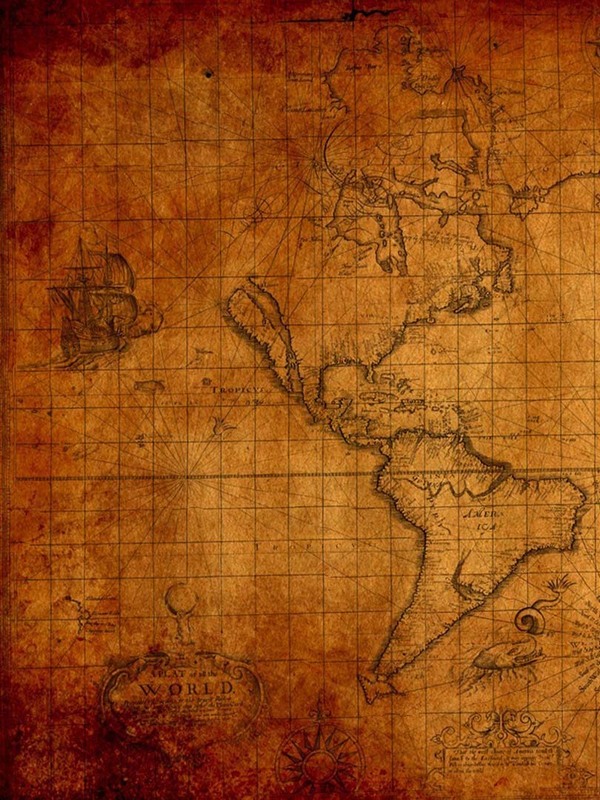 Eric Hokart's discovery of a nearly forgotten portal within in the United States is an opportunity and a threat to those tasked with Xibalban security and operations. Once they are aware of its existence they will go to any lengths to control it. Arriving to find Eric missing and a community suspicious of outsiders, Mike Raglan has the nearly impossible job of discovering what has happened. But with mysterious prowlers scouting Eric's high tech home in the remote Utah canyon country; strange creatures reported on the nearby Navajo reservation; and a fantastically violent drug cartel called The Army of Cibola moving north from Mexico, there is plenty of evidence that something quite unusual is going on. Meanwhile, Eric is lost and in danger somewhere in the silent canyons of another world . . . and Mike has to follow the few clues Eric has left before time runs out.